24 Inch Backpacker .40 Cal. Blowgun | BUDK.com - Knives & Swords At The Lowest Prices! Original Backpacker Blowguns give you the same accuracy and power as the regular Avenger .40 caliber blowguns. Plus, they snap apart and fit conveniently into their own ballistic nylon case. 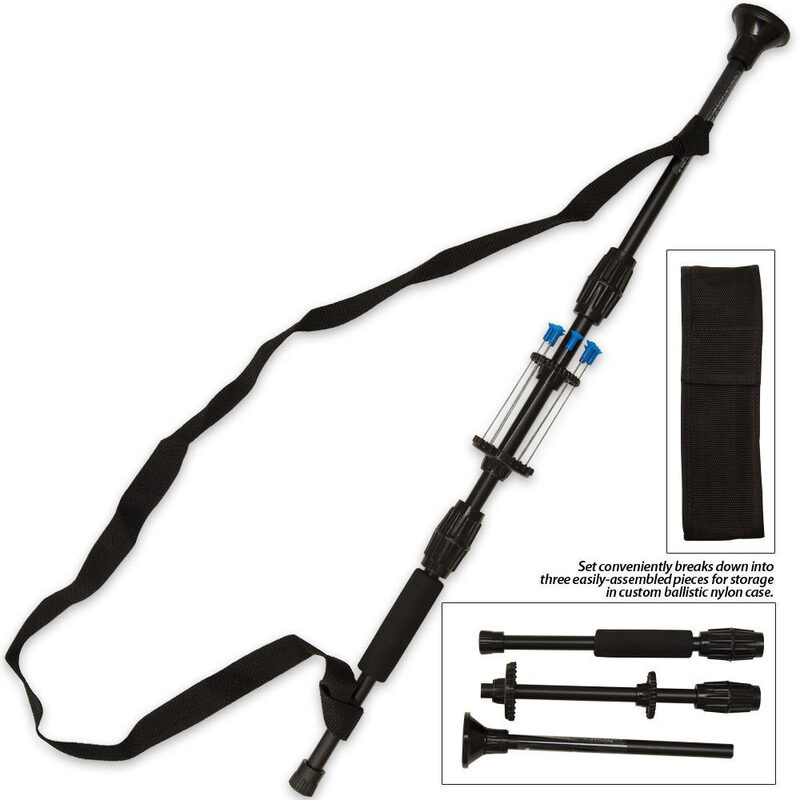 You also get a carrying sling so you can carry the blowgun over your shoulder. You get 12 darts, quiver, and dart guard. 24" ov. This was my first blowgun, and I'm feeling pretty satisfied (understatement.) I got this one because it breaks down easily, allowing me to transport it from one place to another easier. I thought there would be a bumpy ride down the shaft, because of all the joints, but stuff shoots out just fine. I felt like a pro in less than twelve hours of putting my mouth on it, and it really spices up dart games. It's a good, cheaper alternative to an air rifle, and requires using your natural abilities. this thing is sweet.the pouch is a lot smaller than expected which is a good thing. it shoots great as long as you seal it. my only problem is that the kit comes with two more darts that the holster can hold which is GOOD.